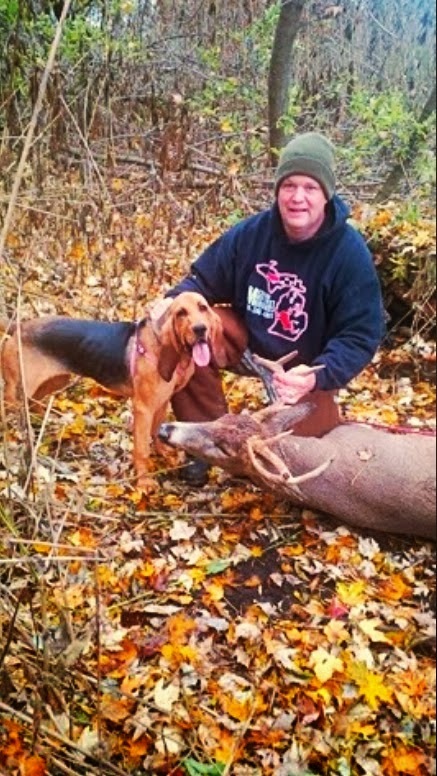 MICHIGAN DEER TRACK'N HOUNDS LLC Michigan's Professional Deer Blood Tracking Dog Services: Prefect shot - not so perfect ending!! Stay tuned!! Prefect shot - not so perfect ending!! Stay tuned!! 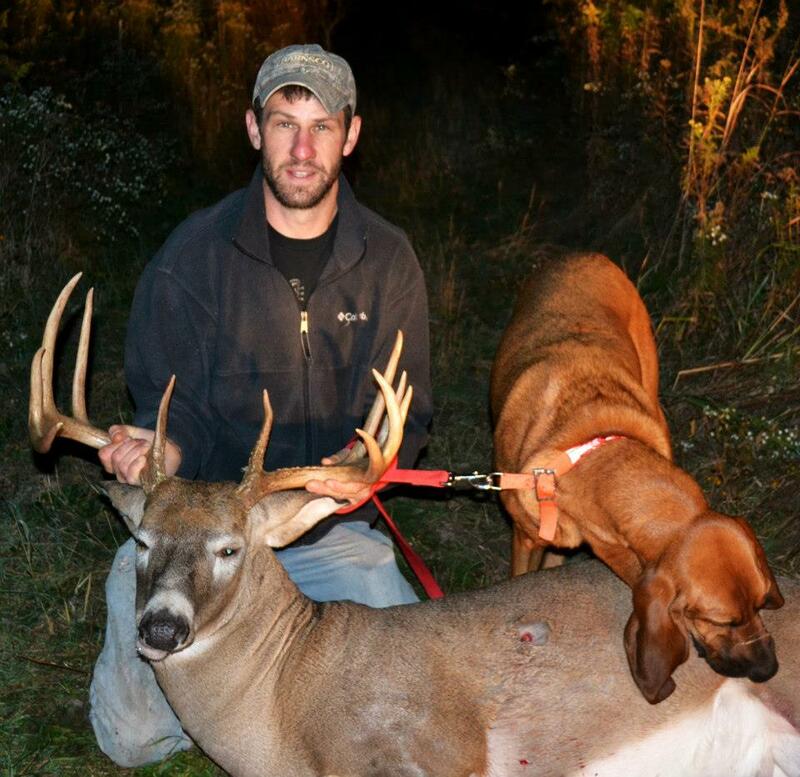 http://youtu.be/c1c4_Zxx0LoSome may recall a track I did back in late October and I shared the video of a young boy that made what looked to be a perfect shot on a big 9 point on Facebook. 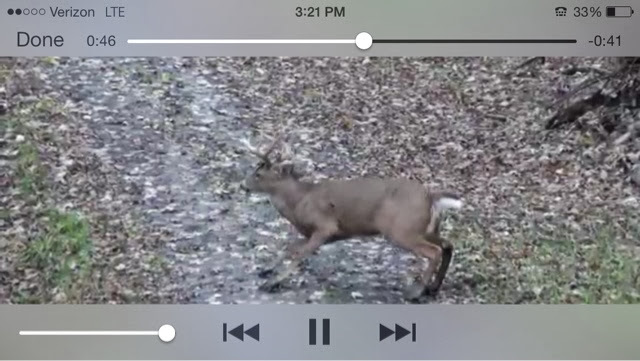 (I'll share the link to the video again) well today the big 9 was spotted by one of the Adults that was with me while tracking the buck. When I called the track off we were all in disbelief. Several men combed the area for two days searching for him. So keep your fingers crossed we get a dramatic finish to this story and it just might make it on TV. 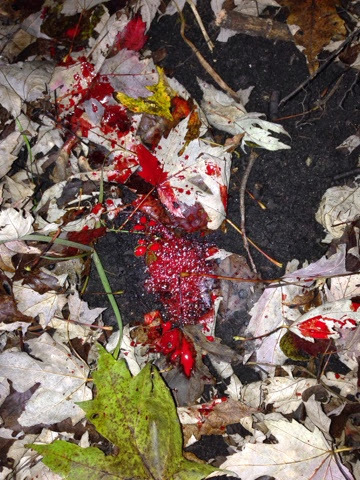 This picture of blood was where the buck stood in the video. 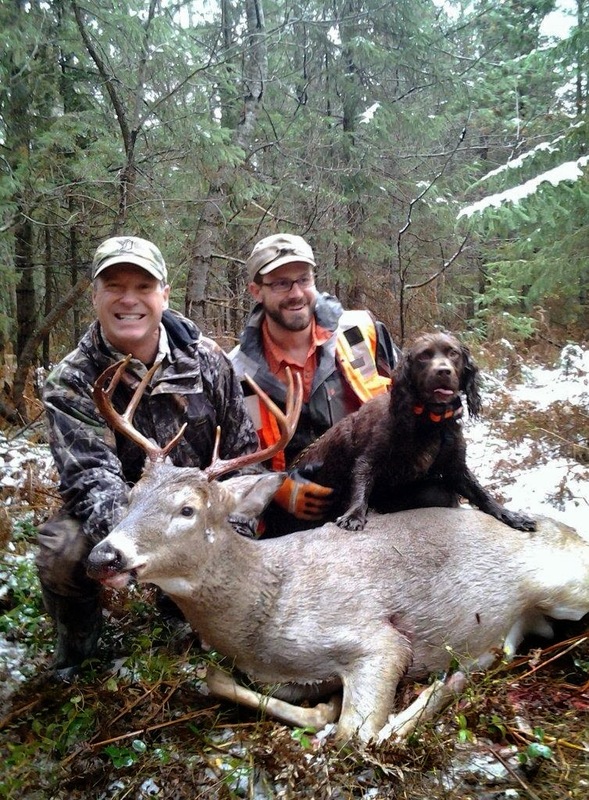 It just proves why we don't recover 50% of the deer we track. http://youtu.be/c1c4_Zxx0Lo Appears to be a text book shot!!! Proof 1 lung was for sure cut!! !